Thenoticeable hip/bump at the fins, angling into the wide squash tail, breaks the rail line and gives the surfer a pivot point to crank tight, powerful turns. 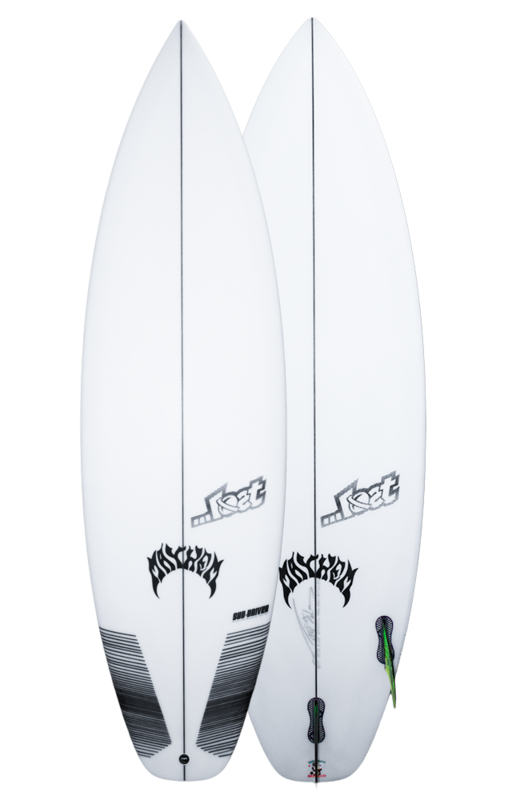 The wide tail block makes for a stable platform in small waves and at low speeds, and combined with all the other elements allows the board to be ridden pretty short. The rail rocker transitions from a modest concave under the front foot, transitioning to flat at the rear fin, and continuing upward into noticeable, double concave, vee out the tail. There is a good amount of double concave through the tail, adding lift and helping the water squirt through and release. Good surfers say “it pushes back, even in small waves”. The Sub Driver not only benefits Pros, it really is perfect for most “Bros”. Short and stubby with plenty of built in drive, it’s easy to catch waves and generate speed on. It loves small to average surf. Lost Pro-Formance Series Construction from Lost Video Productions on Vimeo.